The curse of B5 continues.. The universe just keeps taking them from us way too soon. Last edited by Blake00; August 4th 17 at 04:15. So with his passing I decided to seek out some of the films he directed. The main question that has arisen from this endeavor is I wonder what he could have done with an actual budget? Title To Murder (2001): I can't say I recommend this one. There is a decent premise, but clearly no budget to work with anything. I have a feeling the movie is a case of making the best out of what he had to work with and it still didn't turn out well. Stephen Furst, the actor best known for playing Flounder in “Animal House,” died Saturday, June 17, 2017, of complications related to diabetes, according to multiple news sources. He was 63. Furst’s death was confirmed to TMZ by his son, Nathan, who said he died at his home in Moorpark, California, surrounded by family. Furst, who had diabetes for much of his life, was a spokesman for the American Diabetes Association. He starred as the awkward fraternity pledge Kent “Flounder” Dorfman in the hit comedy, “National Lampoon’s Animal House” (1978). He reprised the role on the TV sitcom version, “Delta House,” which aired for one season in 1979. Furst had other notable television roles including Dr. Elliot Axelrod on “St. 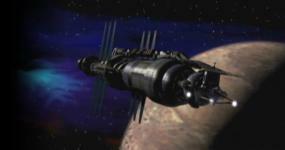 Elsewhere” (1983-1988), and Vir Cotto on the sci-fi series “Babylon 5” (1994-1998). He also went on to direct three movies for the Sci Fi Channel during the 2000s. Born May 8, 1954, in Norfolk, Virginia, Furst was a graduate of the theater program at Virginia Commonwealth University. “To truly honor him, do not cry for the loss of Stephen Furst. But rather, enjoy memories of all the times he made you snicker, laugh, or even snort to your own embarrassment. He intensely believed that laughter is the best therapy, and he would want us to practice that now,” his sons wrote in a message to friends and fans on his Facebook page. Others paid tribute to the actor on social media. Furst is survived by his wife, Lorraine, sons Nathan and Griff, and two grandchildren.